The late 1960s were a time when the early wave of personal luxury cars were out in full force, and these provided a combination of sporty good looks, power, class, and comfort. Cars like the Buick Riviera, the Pontiac Grand Prix, and the original personal luxury car, the Ford Thunderbird, were ringing up sales and turning heads on the roadways. It was a fertile market at that time, so the Mercury division of Ford entered the fray when it introduced its own entry into the personal luxury car market, the Marauder, for the 1969 model year. The Marauder name had previously been used to identify the fastback models of the Monterey, Montclair, and Park Lane from 1963 to 1965, but ’69 was the first year that it became a model in its own right. It came in a base model as well as the better appointed Marauder X-100. The Marauder X-100 was a hefty beast with a long front end, weighing as much as 4,500 pounds when fully equipped, so it took a lot of engine to set it into motion. It was powered by a 429 cubic inch V8 with a four-barrel carburetor that was rated at a robust 360 horsepower. The ’69 Marauder X-100 with the 429 could go from zero to sixty in a rapid 7.5 seconds and zero to a hundred in 19.9 seconds. It could cover a quarter mile in 15.17 seconds, reaching a speed of 92.3 miles in the process, and the car was capable of a top speed of 129 miles per hour when wide open. In 1969 Mercury was able to sell a total of 14,666 Marauders in all, 5,635 of which were X-100s. 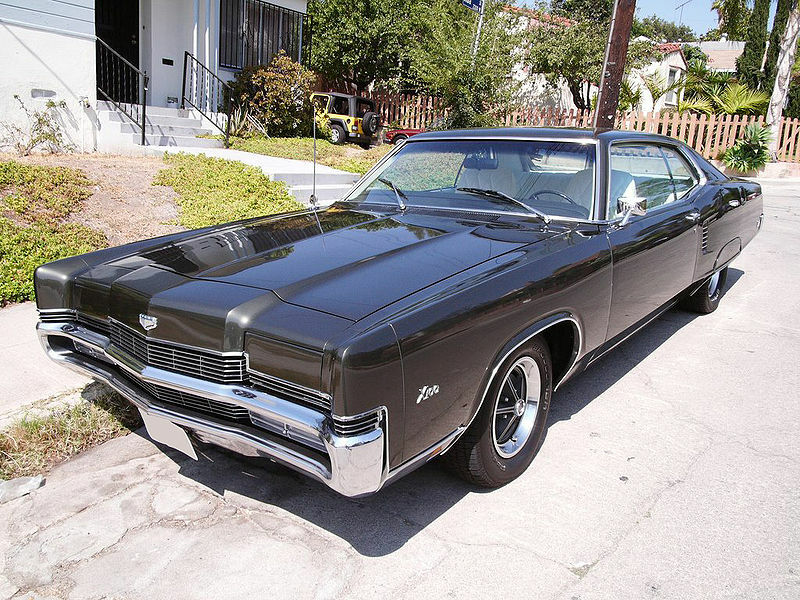 The base price of the ’69 Mercury Marauder X-100 was $4,091, and that number could reach around $4,500 if you wanted all of the options, including air conditioning and power windows. The Marauder is a car that is of interest to some collectors because if you blinked, you missed it. There were only two model years for this incarnation of the car, ’69 and 1970. In 1970 production of the Marauder stood at about 5,000 units, and that was the swan song for the model until it reappeared in 2003 and 2004 in markedly different form. These days a 1969 Marauder X-100 that is in excellent shape should be able to fetch about $13,000.